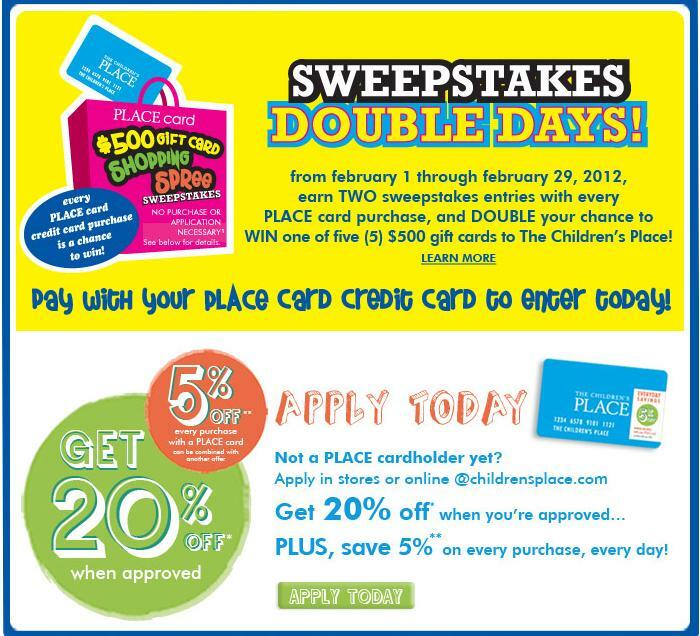 You can either make a purchase online or in store with your "Place Card", the Children's Place Credit Card. This entitles you to 2 entries into the five $500 drawings. Or, you can enter for FREE and receive 6 entries into the Sweepstakes Double Days. You can send as many as you like, but one entry per envelope.